Sticking with yesterday's leather trend, I thought we would take a look at some leather in a less expected place- the leather elbow patch. It's kind of grandpa-ish, kind of preppy, all fall. 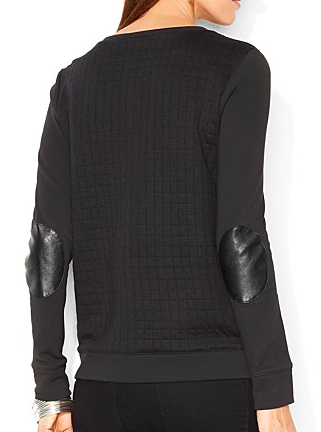 Ann Taylor, Faux Leather Elbow Patch Tee, $36 $22!!!! 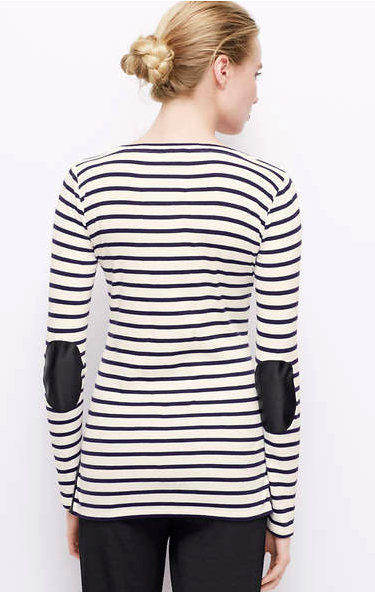 This stripe option is perfect for the weekend. I'd dress it up with a longer necklace. How simple and classic is this top? This is also a great layering option. I think is my favorite option. It's comfortable and yet fitted. Is this expensive? Yes. Is there anything better than a nubby knit boyfriend fit cardigan? Nope. This cardigan will pay for itself in one season. The leather or faux leather elbox patch is a trendy way to dress up this old school style. I love it for sweatshirts, tops, and sweaters. 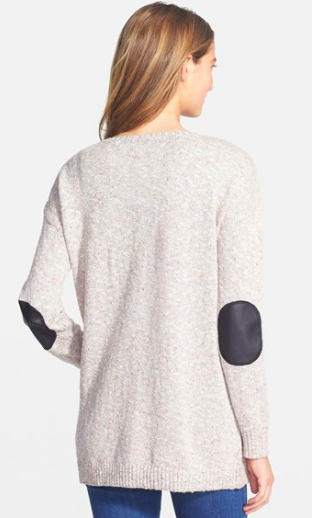 More elbow patches. More happy.